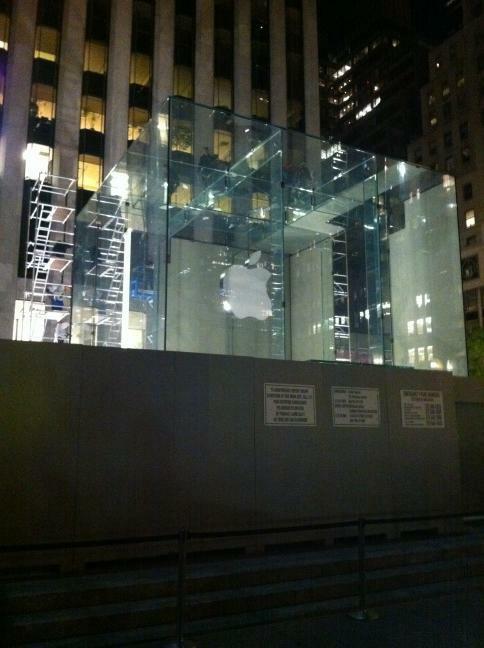 Apple will temporarily close its flagship Fifth Ave retail store in New York on Thursday evening in preparation for the unveiling of the newly redesigned glass cube on Friday at 10:00 a.m. Eastern. The Mac maker posted a note on its retail website (via MacRumors) notifying customers of the scheduling change. Normally, the store is open 24 hours a day, 365 days a year. Apple began the $6.7 million project in June and will meet the "early November" completion estimate that it submitted in permits to the city. The project's purpose was to simplify the cube, reducing the number of glass panes from 90 to 15. In September, the company began slowly removing the temporary structure surrounding the cube. Workers began taking off the white covering along the bottom section of the cube on Thursday in preparation for the unveiling. The store opened in May 2006 and has since become a popular destination for tourists. Workers preparing 5th Ave cube for Friday launch. Credit: Derek Gordon. Left, the old Fifth Ave glass cube. Right, Apple's rendering of the new cube. 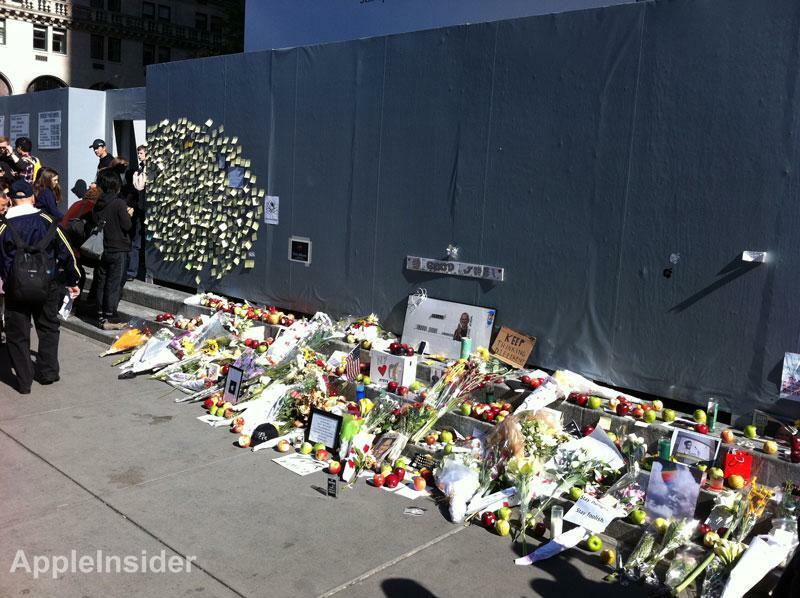 In the wake of the death of Apple co-founder Steve Jobs in early October, mourners flocked to the cube to pay their respects, leaving apples, flowers and hand-written notes. The iconic structure has become closely associated with Jobs, as he played a part in designing it and even paid for it with his own money. After a meteoric rise over the past ten years, Apple's retail initiative is in a period of transition. Ron Johnson, who had headed the company's retail unit since 2000, left Apple this week to become the new chief executive at J.C. Penney. The Cupertino, Calif., iPhone maker has yet to announce his replacement. As of the September quarter, Apple had a total of 357 retail stores around the world. The company plans to open 40 stores next quarter, with most of them located outside the U.S.